How do companies find out how consumers feel about a certain product, service, advertisement, slogan, or anything for that matter? They don’t just guess. They use focus groups – which are discussion groups with similar individuals in a targeted group of consumers who are brought together for an in-depth conversation on a certain topic. Businesses and organizations rely on these focus groups to gain criticisms, praise, and overall feedback on their products and services. 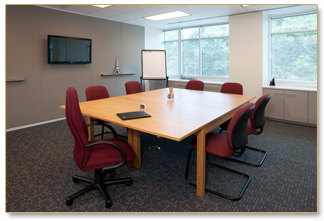 Why Participate in a Focus Group? Then, at the end, you are provided with an honorarium in appreciation for your time! Categories: Baltimore Market Research, Focus Groups, Market Research News, Market Research Specialists, Observation Baltimore News, Uncategorized, and Useful Information | Tags: discussion groups, Focus Groups, How do Focus Groups work?, How Focus Groups Work, Market Research, moderator, Observation Baltimore, UMBC, University of Maryland, What is a Focus Group?, Where are Focus Groups?, and Why Participate in a Focus Group? This entry was posted on Thursday, March 15th, 2012 at 2:26 pm. Both comments and pings are currently closed.